On 27 June 2018 the Science Museum, in collaboration with Pride in London, opened it’s doors for an evening of LGBTQ+-inspired Lates. This colourful evening featured live performance, talks, music, activities and even a silent disco. The Pink Singers followed on from queer cabaret act Rhys’s Pieces and performed a short set of songs from the June concert to an audience which filled the exhibition room. 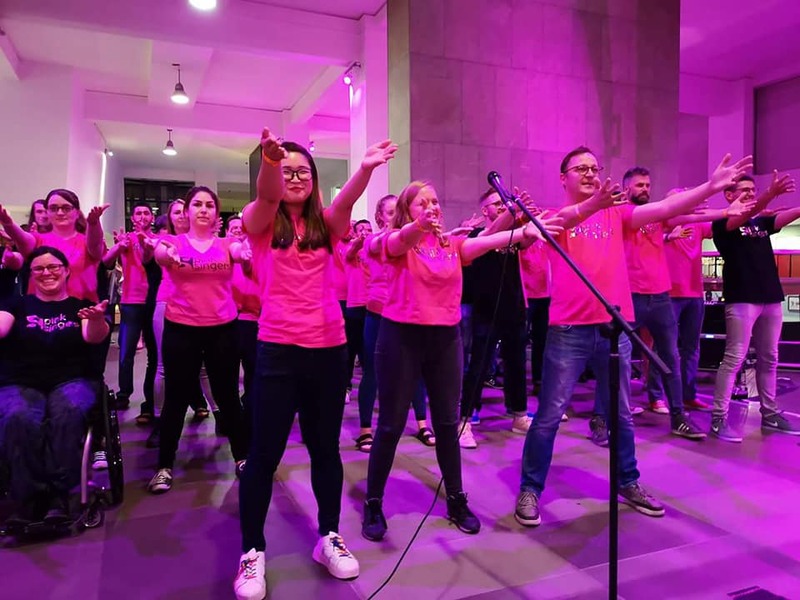 Gay Star News said ‘Europe’s longest-running LGBTI choir Pink Singers stole the show on the ground floor with their repertoire of anthems, including What’s Up by 4 Non Blondes’. We had a fantastic time and hope to be back next year!